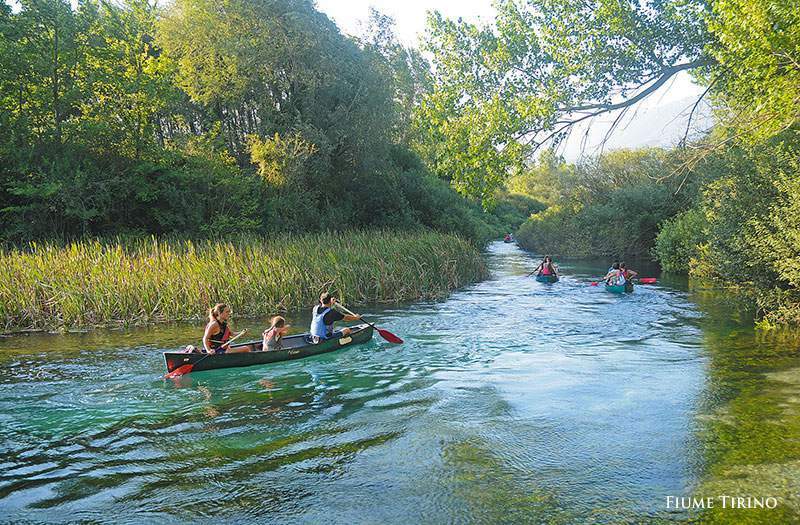 The HERA project is part of the Adriatic Cooperation Programme, conceived to contribute to the creation of a wider cross-border platform with Albanian, Bosnian, Croatian, and Greek partners for the management and promotion of sustainable tourism. One of the goals is also to implement new models that will reduce the seasonality of tourism through the promotion of the natural and cultural heritage of the different territories. 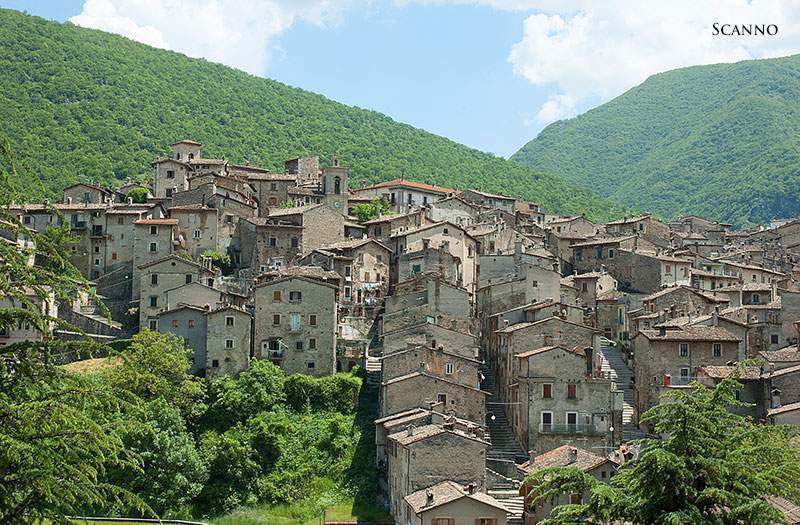 Inland Abruzzo boasts a wealth of wonderful historical and cultural places of interest, immersed in some of the loveliest scenery to be found in the Apennines. 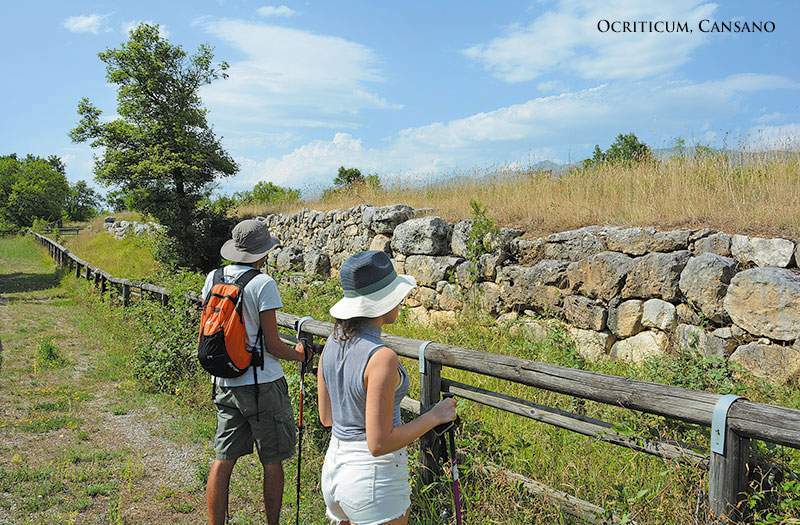 Hera project involves this area of Abruzzo, including 40 commons with 263 sites of cultural and historical interest, developed in about 330 km. 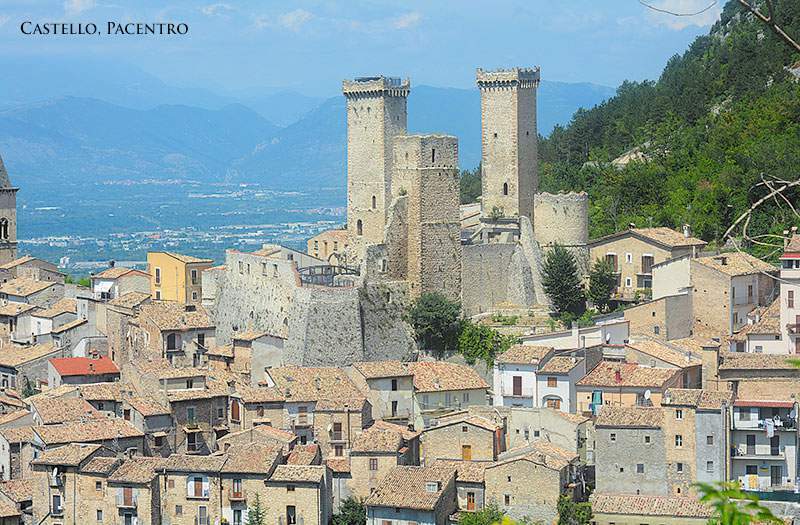 The main circuit embraces part of the Peligna, Tirino and Aterno valleys, famous for their archaeological and monumental heritage. 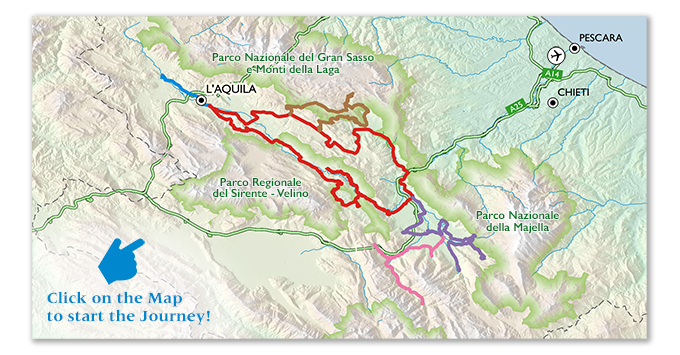 The other four routes reach L’Aquila and the Amiterno district; Mount Gran Sasso and its historic villages; the Peligna Valley with Sulmona and neighbouring towns; and the Valle del Sagittario as far as Scanno. The routes take in many town centres of the Roman age and will include some of the region’s richest protohistoric burial grounds: Corfinio’s “Morroni” and the necropolises of Fossa, Bazzano and Capestrano, the latter known for the discovery of the most famous symbol of ancient Abruzzo, christened “The Warrior of Capestrano”. Among our specific religious places there are: San Terenziano in Corfinio, Sant’Onofrio al Morrone in Sulmona, San Venanzio in Raiano, San Domenico in Villalago, and Sant’Egidio in Scanno. 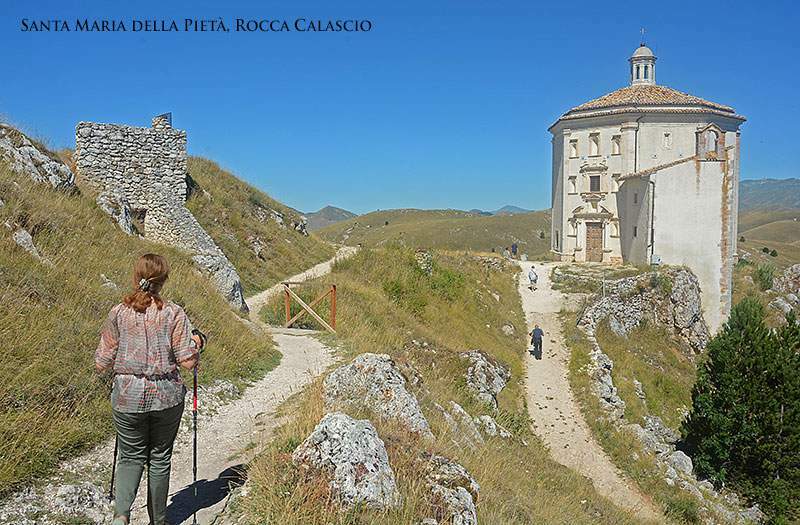 Nevertheless, the medieval remains found along the route are probably the best expression of this journey: churches, villages, castles, buildings and fountains of rare beauty. 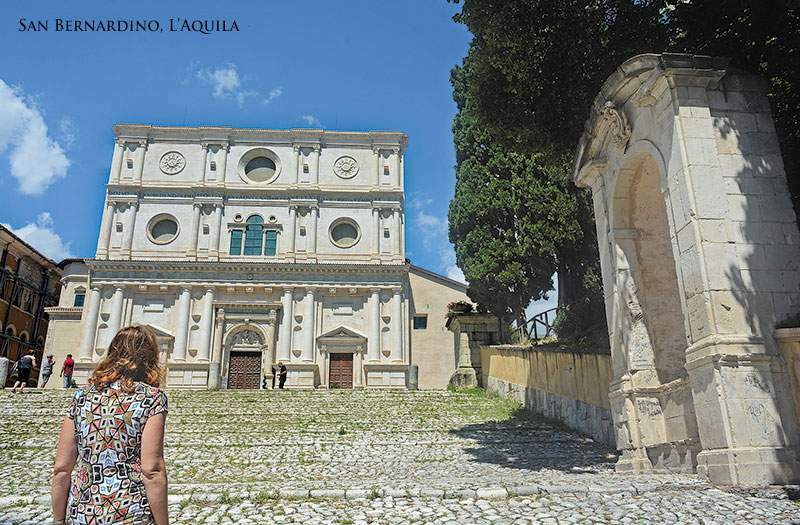 While, Abruzzo's monumental Romanesque architecture is testified by the churches of San Pelino in Corfinio, S. Pietro ad Oratorium, and Santa Maria della Valle in Scanno. There are also some very interesting christian catacombs, equally known in Abruzzo, like Castelvecchio Subequo, S. Lorenzo in Beffi and San Vittorino in Amiternum. 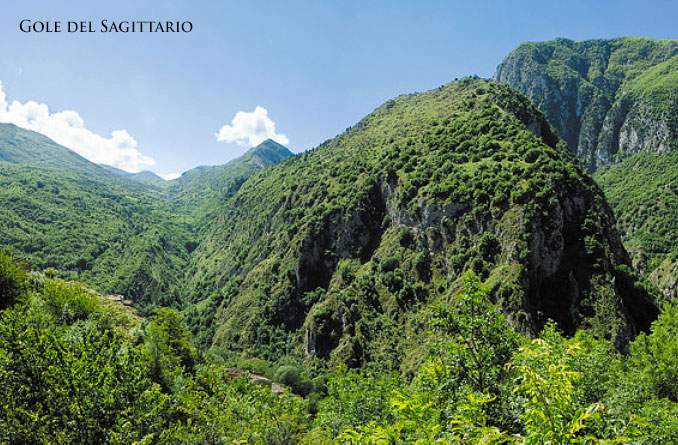 A highlight of this journey is certainly found in the natural and environmental heritage, with its endless biodiversity. 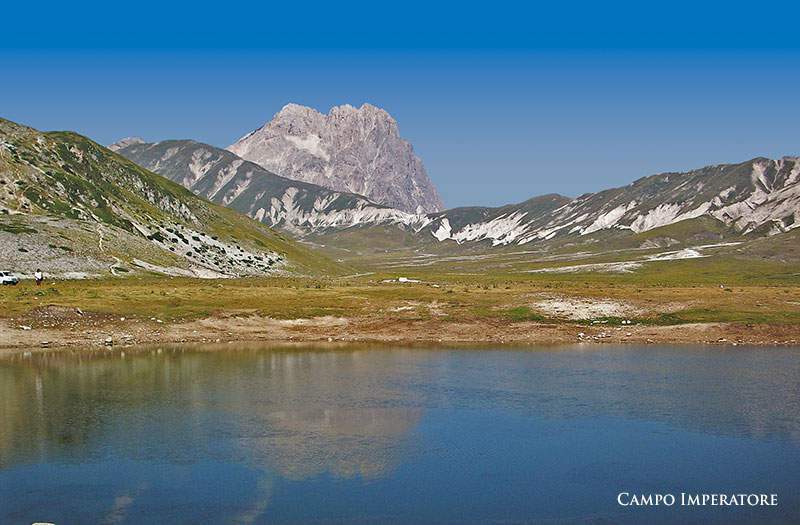 Part of the routes described pass through the territories of the Sirente-Velino Regional Park, and Gran Sasso and Majella National Parks, including some of Abruzzo most stunning sites, like the San Venanzio gorge, the Stiffe caves, the Navelli and the Campo Imperatore plateaux, and the Tirino River Valley. 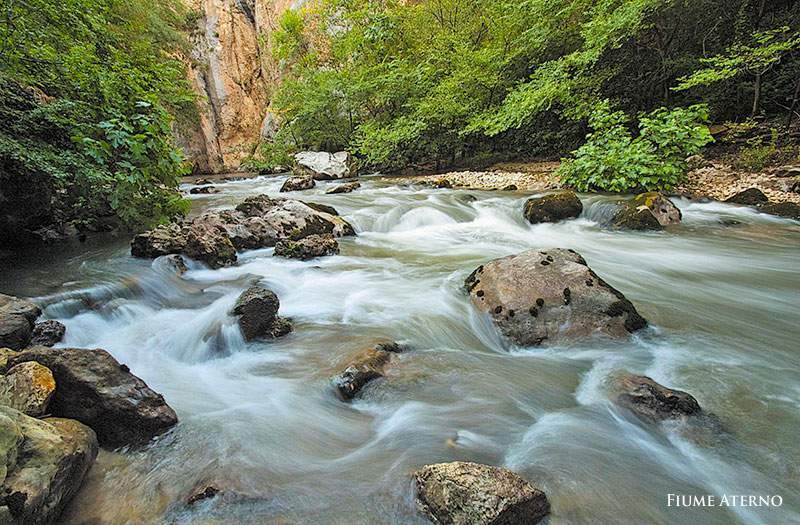 Other places of interest are the nature reserves of Popoli, with the famous Pescara river springs, Gole di San Venanzio and also the nature reserve of Monte Genzana, in Pettorano, as well as the equally surprising Gole del Sagittario and Lago di San Domenico reserves in the Sagittario Valley. 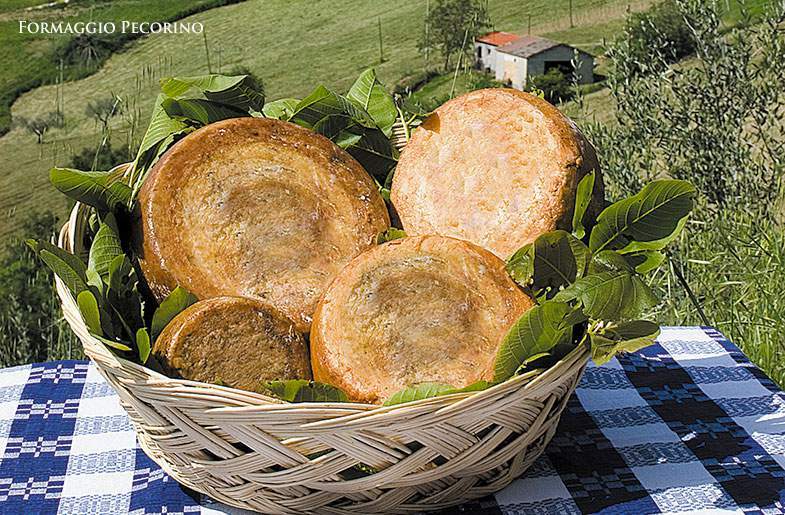 Another distinctive feature of this area of Abruzzo is its fine food and wine, in particular, the traditional products typical of its flocks of sheep, like the cheeses from the Gran Sasso area. 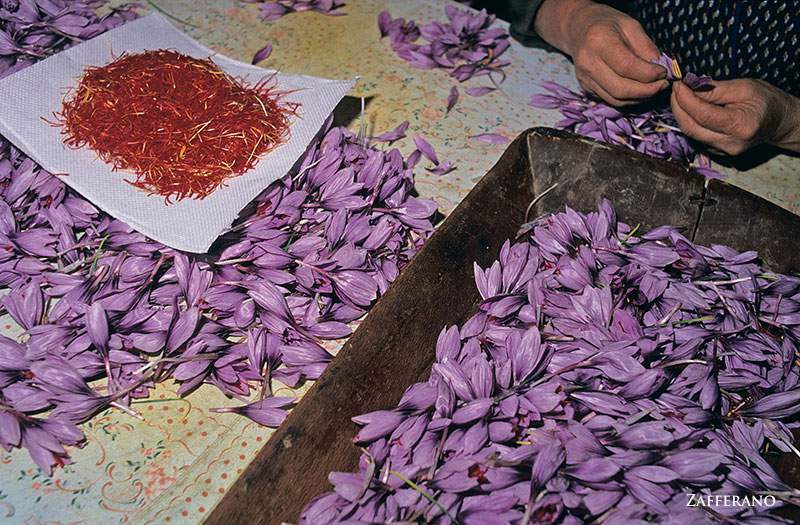 Outstanding crops include saffron and chick peas from the Navelli plateau, Santo Stefano di Sessanio lentils, “poverelli” beans, grass peas, turchesa potatoes, farro, solina wheat, polenta corn, Prezza and Sulmona red garlic, and truffles and chestnuts from Subequana Valley. Meat-based products include micischia, made from mutton or goat, and various salamis. 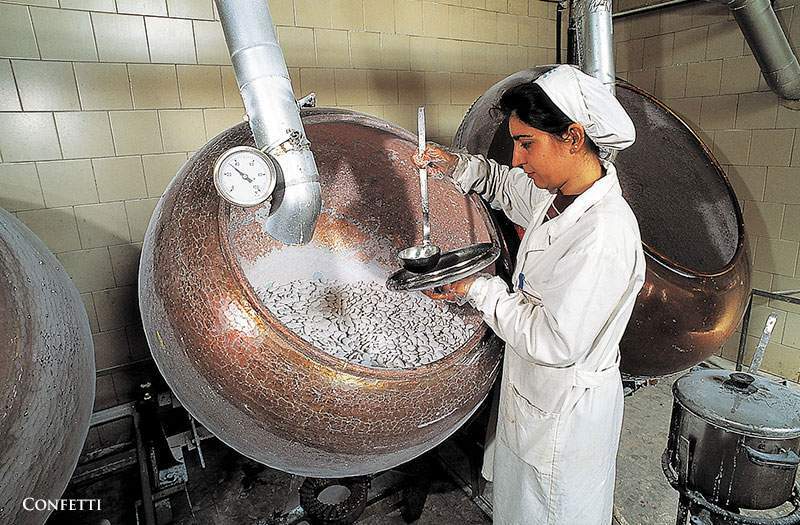 Sulmona is famous for its artisanal production of sugared almonds and of nougat. 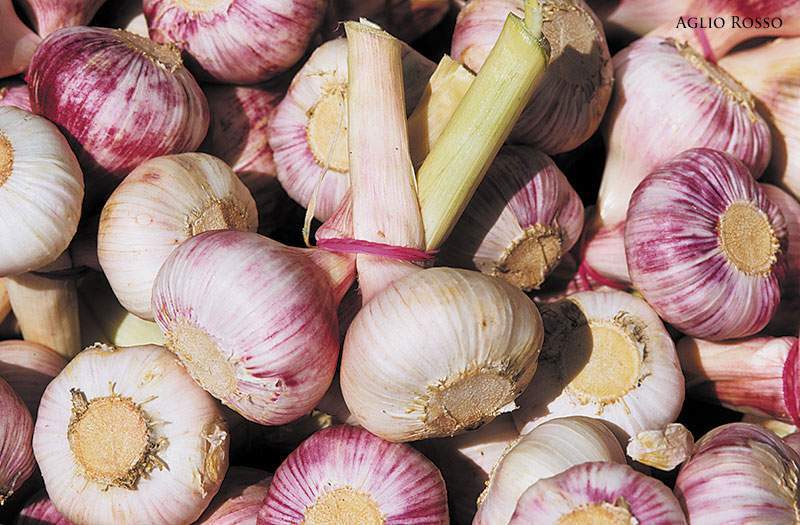 Traditional recipes are based on ingredients grown or bred locally, like lamb, pork, trout, freshwater shrimp. 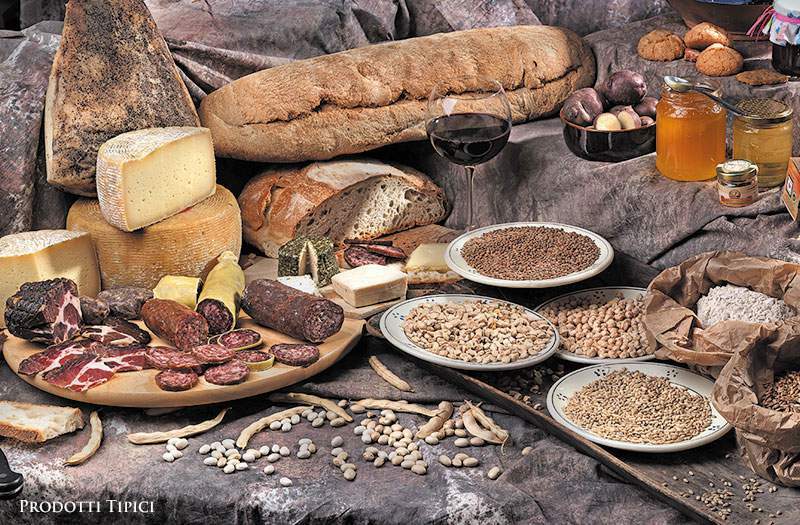 Last but not least, the region boasts a long list of breads, homemade pasta, and traditional patisserie. There is also an abundance of local wines, such as Montepulciano d’Abruzzo red, Cerasuolo rosé, the Trebbiano and Pecorino whites.